An international group of public relations agencies, including my own firm Ketchum, yesterday set out a joint manifesto for working with Wikipedia. 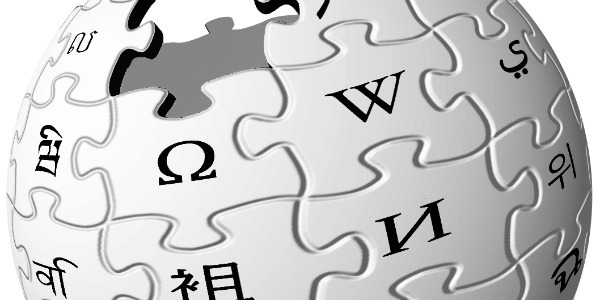 The movement comprising firms including Burson-Marsteller, Edelman, FleishmanHillard, Ketchum and Ogilvy, has acknowledged past mistakes, and agreed to work with the Wikipedia community to promote better understanding. The public relations community has often had an uneasy relationship with Wikipedia. Paid advocacy contravenes a fundamental community rule. In the past public relations practitioners that have edited Wikipedia pages where they have a direct conflict of interest, typically relating to clients or employers, have been publicly named and shamed. The new movement is the brainchild of Beutler Ink’s William Beutler. He convened a roundtable discussion in Washington DC earlier this year to explore the complex relationship between Wikipedia editors and public relations practitioners. You can read about the initiative and the joint statement on the project’s Wikipedia page. In my view this is a significant milestone in promoting greater understanding and a better working relationship between public relations practitioners and Wikipedia. A basic tenet of public relations is achieving mutual understanding. This applies to working with a Wikipedia editor as much as it does to working with any other stakeholder. This new initiative isn’t going to stop public relations practitioners breaching Wikipedia’s community guidelines but it is a significant international effort towards greater understanding and education. The CIPR pledged support to this new international initiative on behalf of its members yesterday. I now hope that other public relations practitioners and agencies support the lead of this initial group of agencies and add their support. Share this statement with the appropriate decision-maker at your agency, obtain their consent to follow the principles espoused and add your firm's name. Identify one person to be the participating representative and point of contact for your firm with the Wikipedia community. Ideally this point of contact will create a Wikipedia account, including a statement of affiliation on their user page. Contact William Beutler at donovanhousegroupgmail.com or via the User:WWB account, and express your interest in joining. We'll add you to the list here and add you to our mailing list to join future discussions. The relationship between Wikipedia and the public relations community an area where I have taken an active interest in the past, contributing to the CIPR’s guidance published last month (opens in a PDF), and writing a chapter on best practice working with Wikipedia for Share This Too. If it’s an area of public relations that you have yet to explore, I have summarised an excerpt from my chapter in Share This Too below on best practice engagement with Wikipedia. Anyone can join the Wikipedia community and edit and contribute to content on the site. Register a personal rather than a corporate account and disclose your conflicts of interest on your user page. If you are concerned about the accuracy of a Wikipedia article but have a conflict of interest you must address this via the community. Don’t edit any page you have a conflict of interest on, except to remove vandalism. Head to the Talk page for the Wikipedia article concerned and draft your response. This works in almost all situations however if you don’t get a response then raise it on the relevant noticeboard. Escalate with kindness and don’t be an idiot. When faced with a situation where you have a choice to be an idiot or not be an idiot, choose to not be an idiot. Following this rule will mean you will very rarely get into difficult situations. You can freely contribute articles related to your profession, hobbies and interests, where you do not have a conflict of interest. In fact Wikipedia actively encourages this and it’s a great way to get to know how Wikipedia works.